Green tea is included in a lot of superfood lists but can it really prevent cancer? Maybe, but then again, maybe not. Let me explain. Green tea frequently makes the cancer-preventing superfoods lists due to the anti-cancer effects that have been found in laboratory research. Green tea contains antioxidants called catechins that may slow down the growth of cancer cells. In laboratory studies, catechins stop free radical damage to cells and reduce the number and sizes of tumors. The most commonly studied catechins, called epigallocatechin-3-gallate (EGCG), may cause cancer cells to die, rather than grow and spread. But it's important to go beyond Petri dishes, test tubes, and lab animals - for a particular food to be known as a superfood, some kind of human research is necessary. Two large human studies found that people who drank more tea were also at a lower risk of developing certain cancers. But another study showed no correlation between green tea consumption and the incidence of cancer. 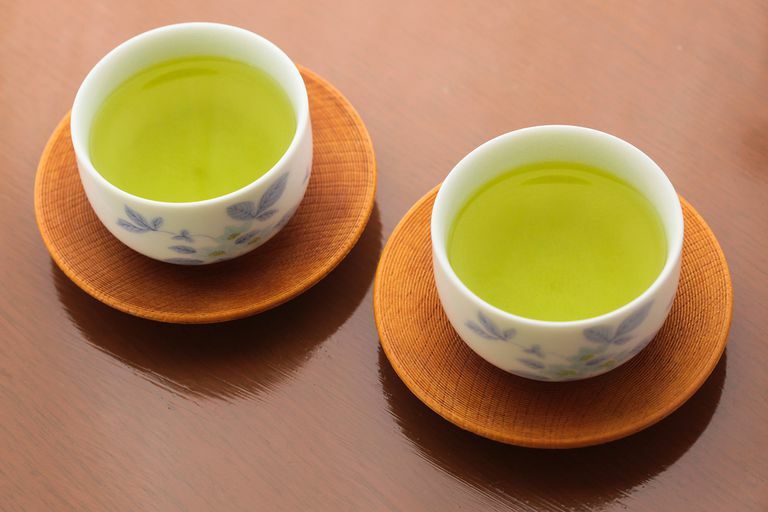 The next step up from observational studies are randomized controlled trials, and so far, no clinical trials have shown green tea would definitely prevent cancer. Whether green tea prevents cancer or not, it still may be good for you. The antioxidants may help to protect your cells from free radical damage, and some studies indicate green tea may boost weight loss - at least a little bit. Green tea and black tea both come from the same plant called Camellia sinensis. Black tea is made when the leaves are allowed to ferment. Green tea leaves are steamed or heated immediately after picking to prevent fermentation. Since they're harvested and processed more quickly, they contain more of the polyphenols than black tea leaves. Both types of tea contain caffeine, but not as much as a cup of coffee. You can usually find decaffeinated forms of green tea if you prefer. There are many brands of green tea available in grocery stores, coffee shops, and specialty stores. Some brands are sold in individual tea bags, which makes them easy to prepare. Just place a teabag in a cup, add hot (not boiling) water, steep for two minutes or so, and then remove the bag. There's very little mess and no waste because you brew each cup individually. Tea bags are convenient, but the quality differs from brand to brand. You can buy loose leaf green teas for an unbeatable flavor. It's not difficult to prepare loose leaf tea at home as long as you have the right equipment. You'll need an infuser. Place the leaves into the infuser, set the infuser into an empty teacup, and add the hot water. Experts suggest that you use boiling water and a longer steeping time for a higher polyphenol concentration. If you like the loose leaves, you may wish to invest in a teapot with an infuser built in, so you can brew more than one cup at a time. National Cancer Institute. "Tea and Cancer Prevention." Accessed June 28, 2016. http://www.cancer.gov/about-cancer/causes-prevention/risk/diet/tea-fact-sheet.